Chicago and Sioux City pick up Game 3 victories, take 2-1 series leads. For the second time in three games, Chicago overcame a 3-1 third period deficit with three goals in the final 20 minutes to knock off the Dubuque Fighting Saints in Game 3 of the Eastern Conference Final, moving the Steel just one win away from their first Clark Cup Final appearance in team history. After a scoreless opening period that saw Chicago outshoot Dubuque 10-4, Steel captain Marc Johnstone picked up his third goal of the playoffs to open the scoring just 38 seconds into the middle frame. The Fighting Saints then responded with three goals in less than six minutes, courtesy of Zach Solow, Colin Theisen and Patrick Kudla, to take a 3-1 lead into the third period. 7:21 into the final frame, Eduards Tralmaks found the back of the net for the fifth time in the postseason to cut the lead to 3-2. Less than five minutes later, Jake Jaremko's first goal of the playoffs tied the game, and Brannon McManus picked up his second game-winning goal of the series less than five minutes after Jaremko's goal to give Chicago their second come-from-behind win in three games and a 2-1 lead in the best-of-five series. Ales Stezka stopped 25 of the 28 shots he faced to move his playoff record to 5-3. 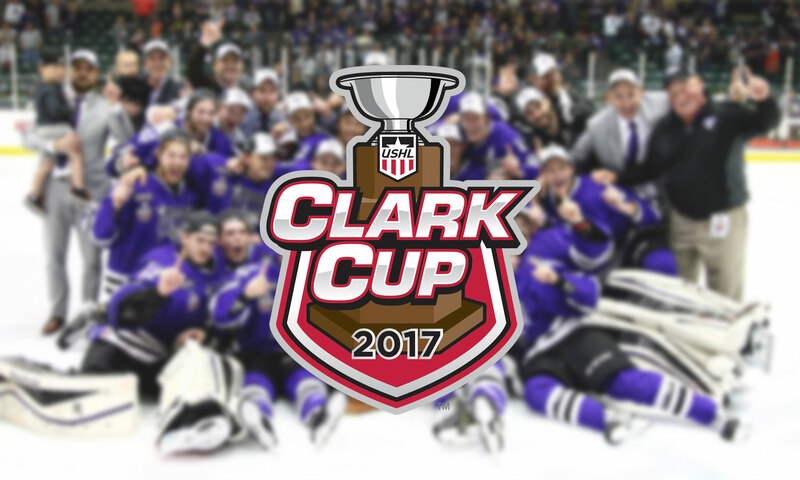 Sioux City is now one win away from the Clark Cup Final following a 3-0 shutout of the Waterloo Black Hawks in Game 3 of the Western Conference Final. The Musketeers outshot the Black Hawks 13-11 in the opening period, but neither team was able to find the back of the net. Five and a half minutes into the second, Tarek Baker scored his second goal of the playoffs to give Sioux City a 1-0 lead. It remained a 1-0 game until late in the frame, when Matt Hellickson found the back of the net with just 22 seconds remaining in the period to double the Musketeers advantage heading into the final 20 minutes of play. Odeen Tufto added an empty-net goal late in the game to complete the scoring and help the Musketeers move one win away from their first appearance in the Clark Cup Final since 2002. USHL Player and Goaltender of the Year Matiss Kivlenieks stopped all 29 shots he faced for his fifth win and second shutout of the Clark Cup Playoffs.